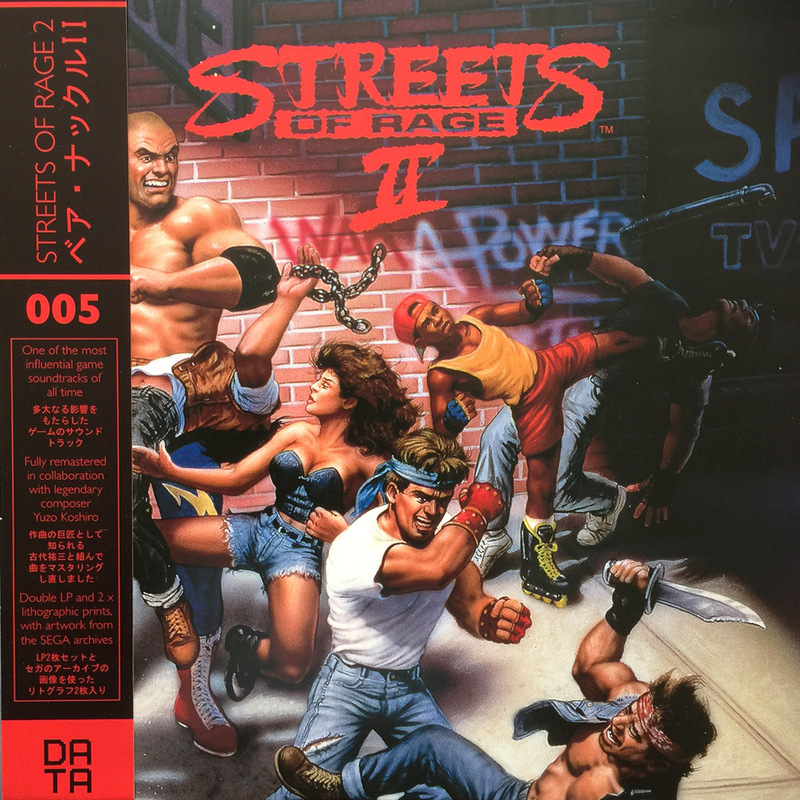 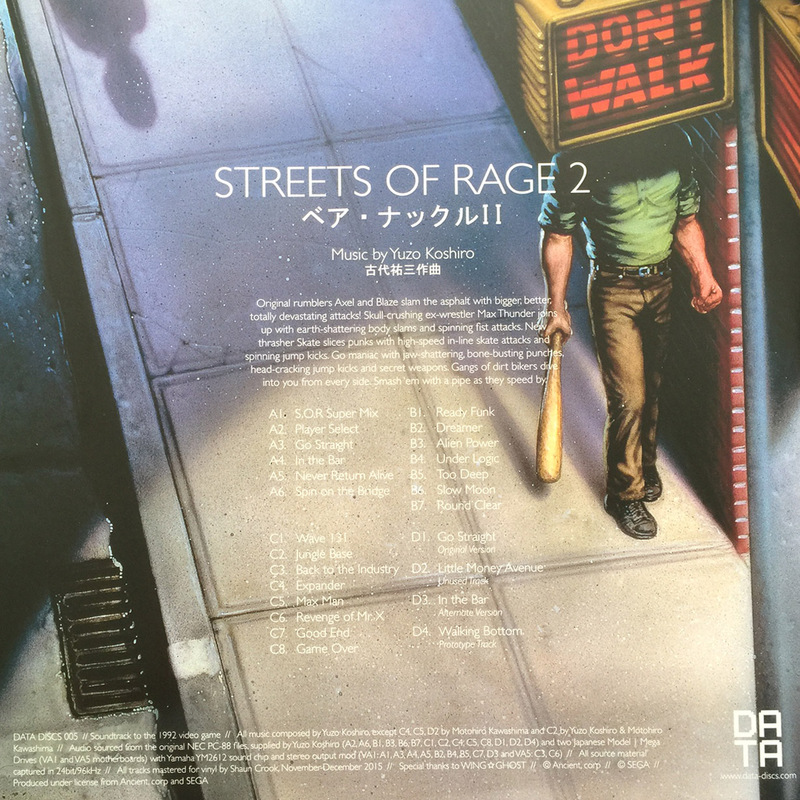 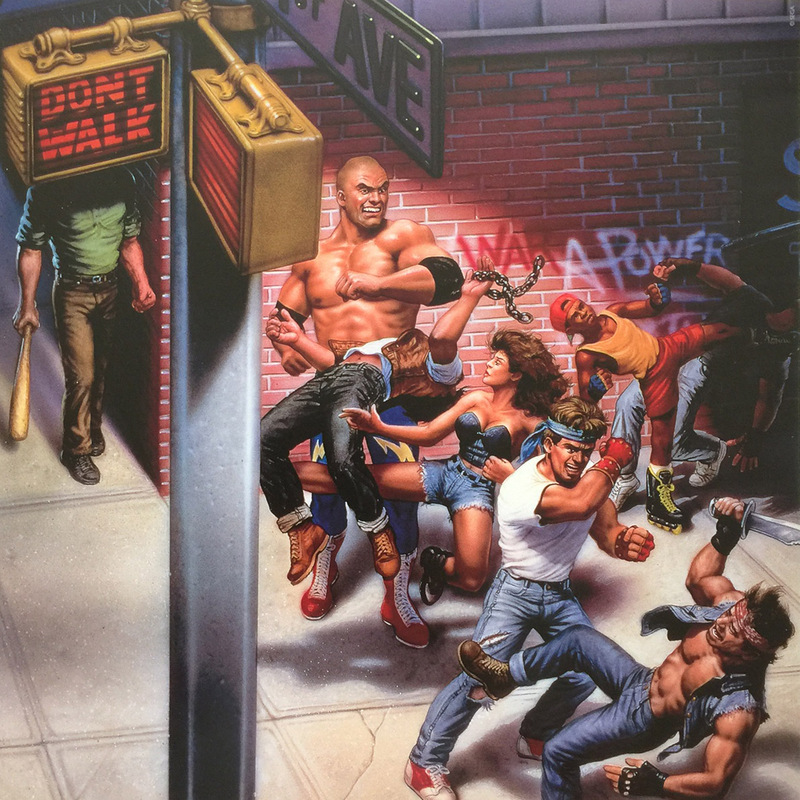 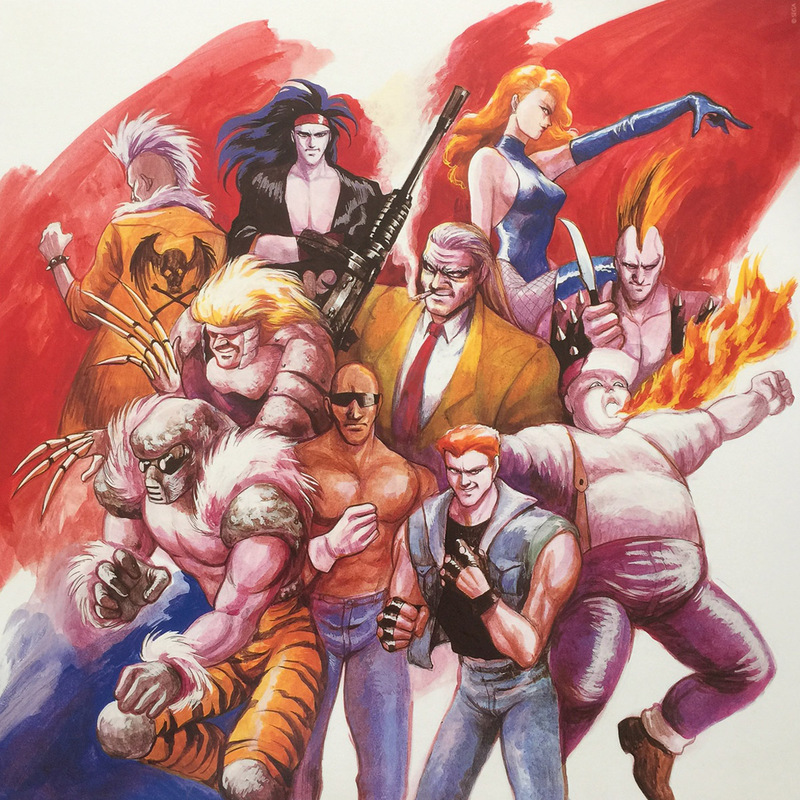 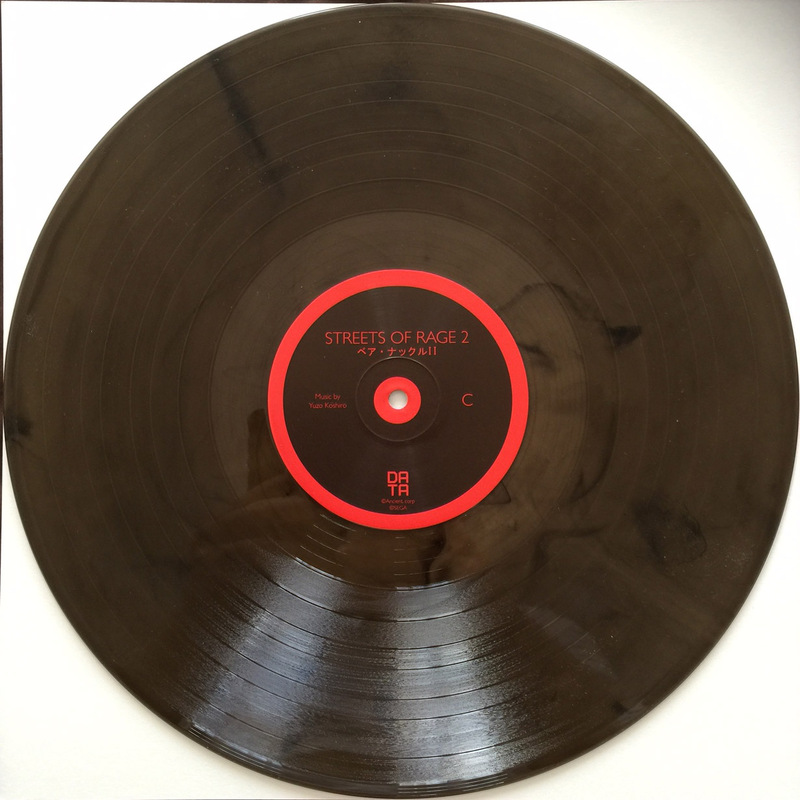 A 2016 vinyl release of Yuzo Koshiro and Motohiro Kawashima’s soundtrack to Streets of Rage 2. 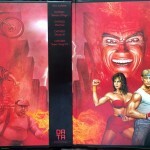 This is the 5th SEGA vinyl release by Data Discs and is the first double-disc gatefold release by the label. 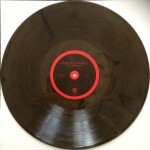 This is the clear and black smoke variant. 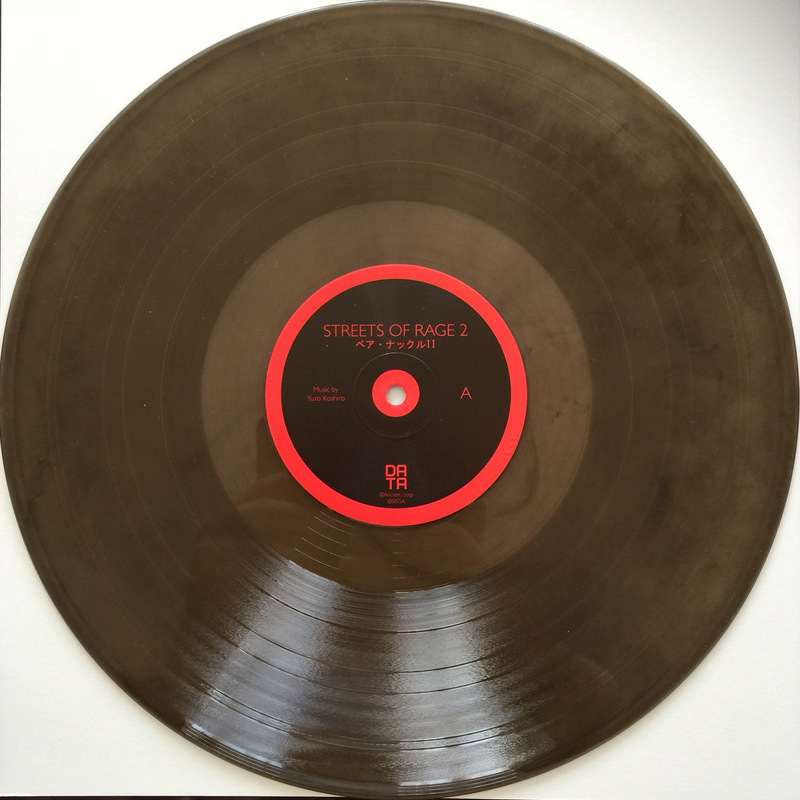 A limited edition pressing was available on clear vinyl with black smoke and red splatter and a larger pressing is also available on black vinyl. The record plays at 33rpm.